Here is the staggering menu in an easy to read chart. As added bonus, we ran two waffle makers side by side churning out regular and Belgium style waffles, with or without lumpy pearl sugar baked right in! Except for a few jarred sauces, everything was homemade from scratch. Can you even imagine the countless combinations? Our set up encouraged everyone to mix and match, and boy, did we ever! Out of the corner of my eyes, I spotted plates piled high with toppings. The whole backyard was perfumed with sweet eggy aroma of freshly made waffles. It was awesome. 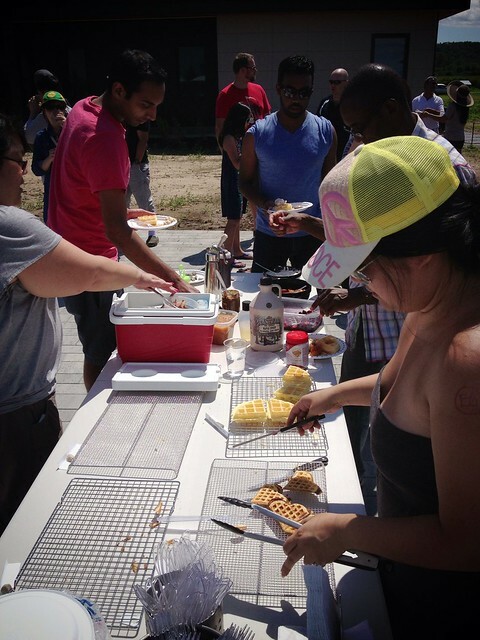 The decadence of topping could not distract the plain waffle connoisseurs among us. We discovered our ultimate favourite combination. 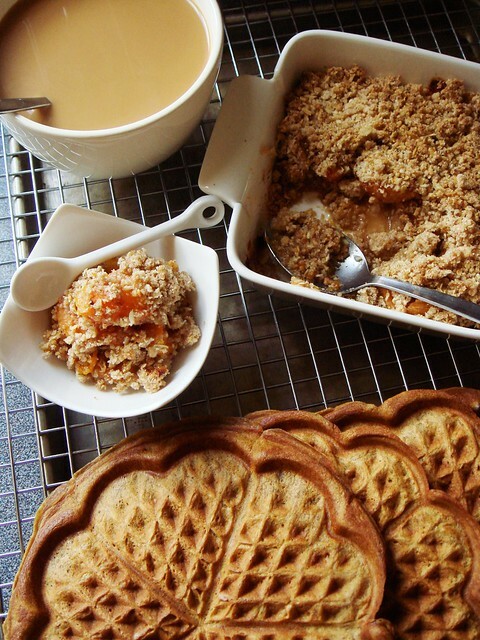 Behold the handsomely bronzed Malted Belgium-style Waffle with Pearl Sugar (aka Faux Liege)! 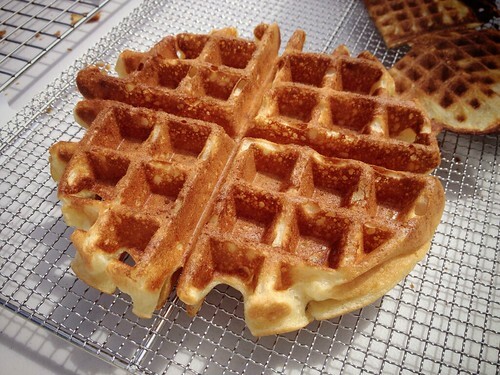 A quick glance at the Malted Waffles recipe from BAKED Explorations explains the caramelization. With 1 cup of malted milk powder in the batter, it contains plenty of sugar to encourage browning. This magic ingredient also added a depth of flavour to the waffle. I used a mix of full fat buttermilk and yogurt which explained the soft texture. Boneats' homemade ice cream and roasted marshmallow cream were swoon-worthy. Foodpr0n’s sweet and savoury apple sauce with bacon offered the palates a break from sugar overload. And Jo was not only the hostess with the mostest, but wowed us with her salted caramel ganache and Belgium waffle expertise. It’s always a great time collaborating with the girls. 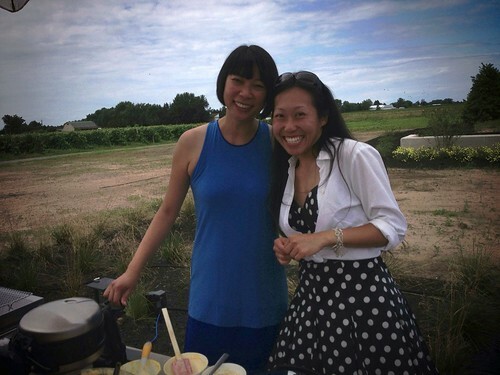 We knew the waffle bar was a success when a little girl asked her mom to have her own waffle party at her next birthday! Don’t you want to run out and get your own waffle maker now? Trust me, it is an endless source of joy.